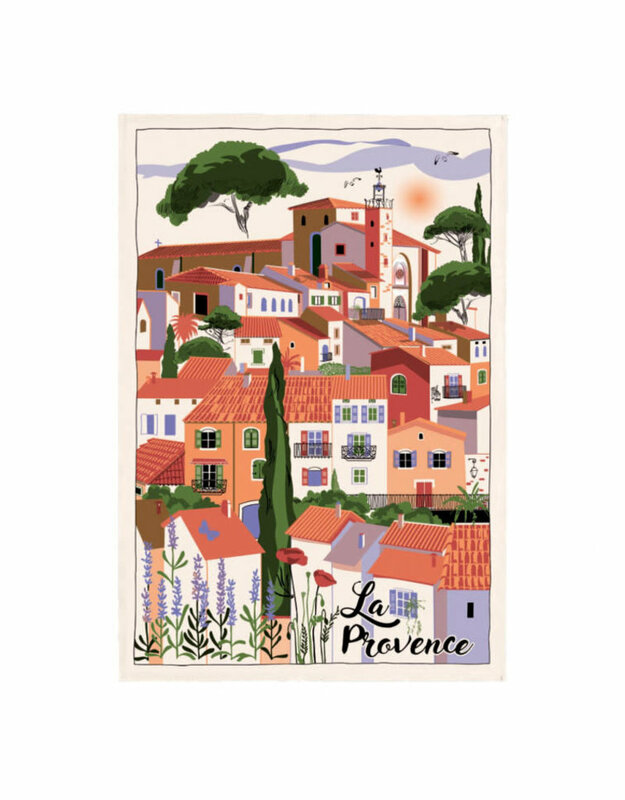 Torchons & Bouchons Tea Towel - Provence Village - Miam! 19" x 28.5" 100% durable cotton tea towel printed with eco-friendly water-based ink. 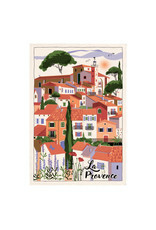 This style features a lovely image of a village in Provence. All textiles printed with water based ink without using any solvent or phthalates.